Discussion in 'Tips and Tricks' started by Christmas on Clarafield, Oct 15, 2014. 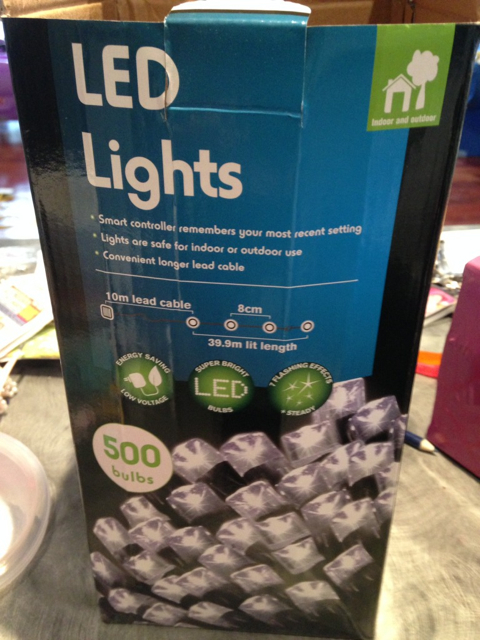 I had a delivery today from Deals Direct of 500 LED light strings http://www.dealsdirect.com.au/christmas-500-led-lights-multiple-flashing-function-red/ (one red and one green) and looks like they have the same issue as the bunnings stuff. The multi function controller is integrated with the transformer and there are only 2 wires from here to the first LED yet there are two channels. I have not cut these strings up yet but I don't think these will work with any of the DC controllers. Someone with some more knowledge may be able to substantiate this for me. I'm hoping to add some photos but for now my computer isn't cooperating and will post as soon as I can. Ok hopefully this will work so everyone can see what is going on. how do they work/flash if there's only 2 wires? I thought 3 wires were required to do this? Check the thread referenced in the first post. It has the details you're after. yup I just found that, the leds are reversed.